We design thoughtful, visual/audible spaces. 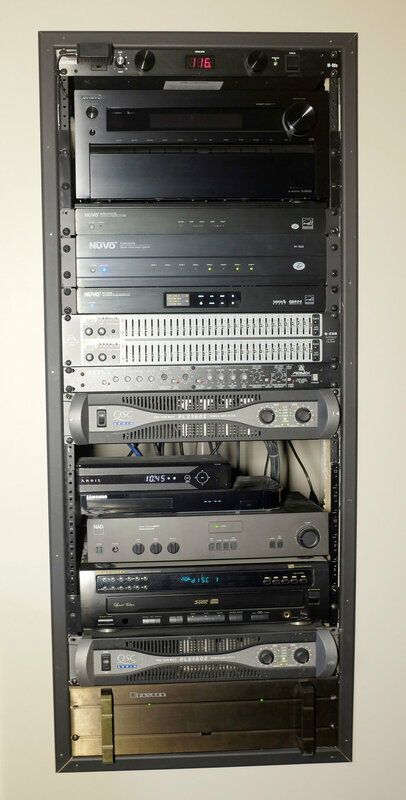 Prince Edward Island's Leader in Commercial and Residential Audio/Video Applications. We offer complete consultation with individual homeowners, architects, engineers, contractors and interior designers. We design, supply and install Audio/Video and Lighting Systems. Architects, Engineers, Business Owners and Government Agencies know we're on the cutting edge. Grand Historic Church poses a unique problem. Because of the large cubic volume and multiple reflective marble surfaces in the church sounds can be heard for over 5 seconds. We programmed devices effectively controlling the release time of the signal from each speaker array so that the spoken word will arrive at each parishioners ears at the same time from all speakers. Director of operations Derek Tweel wanted clear , concise Smart Flat Panel Televisions with WIFI and USB Media inputs to convey up to date information to their patrons as well as a comfortable waiting/viewing area for adults and children. TOA Pendant speakers deliver comfortable background music throughout. Featuring indoor and outdoor distributed bar/restaurant speaker system equalized utilizing a pink noise generator and computerized spectrum analyzer, effectively reducing frequency anomalies naturally induced by the room’s acoustics. 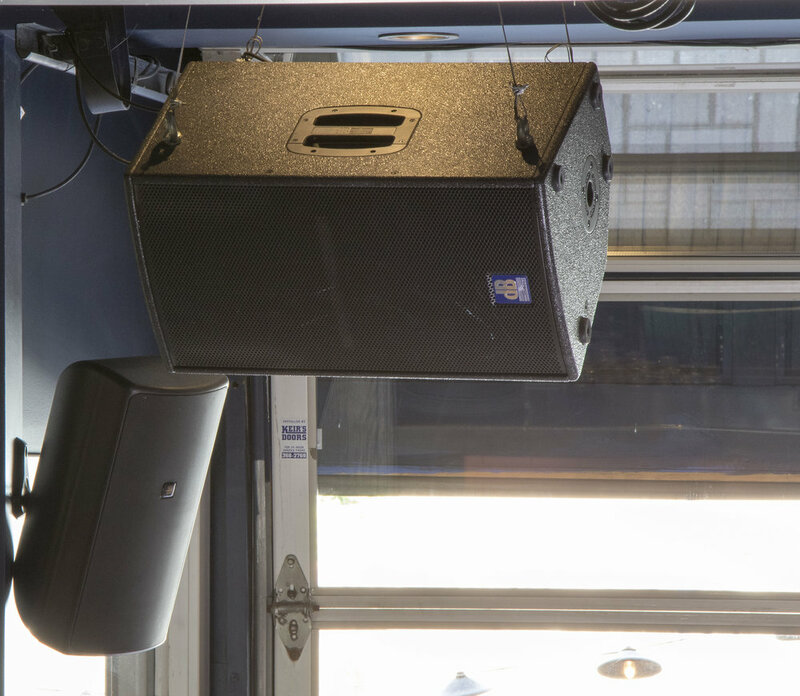 This resulted in a very smooth frequency response and improved intelligibility. Diverse multi-zone design features phone, tablet, software streaming and dedicated Home Theatre. The home owner wanted a comfortable dedicated Home Theatre room that delivered a great image with detailed sound. In addition, they wanted sound throughout the house with the ability to have different music playing in each room or the ability to combine any or all rooms with the same music. They now can stream music directly from any phone, tablet or home computer as well as any streaming service off of the internet.